Consultations at Skinpossible are all about you! Our Style of consultation is Relaxed, Educational and FUN! Book your free consultation today! The desire to look young and attractive is as old as human history. This incredible time in history allows us to improve, maintain or restore our youthful appearance in ways that would have seemed nothing short of magical just a few years ago. Treatments exist that can literally take ten years or more off of anyone’s appearance. Even when we are young, there may be something about our appearance that we don’t like, something that might affect our self-esteem or confidence, something that can easily be changed with the advancements in medical aesthetics. The previous articles shine a light on the possibilities. The magic is in choosing the right procedure for the right person. If one or more of our treatments appeal to you and you would like to learn more, don’t hesitate to give us a call! 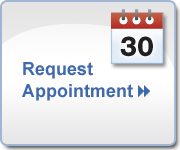 We will set aside sufficient time to spend with you one-on-one, in the privacy of one of our consultation rooms. You will find our style of consultation relaxed and educational. Our goal during a consultation is to listen to your concerns and find out exactly what you hope to accomplish. Our job is to explain the best options to accomplish your goals within the schedule and budget you have to invest. We take the time to give you all the information you need to make an informed decision. Then, if you decide to go ahead, we will work together with you to make a plan that best suits your needs. We want to earn your trust and strive to make consultations at Skinpossible a warm, relaxing and safe experience. Our hope is that a visit with one of our knowledgeable treatment consultants will leave you enlightened and empowered. We want to be your clinic and look forward to meeting you soon!